Next Concert – 28th September, Horsley Church, Derbyshire. 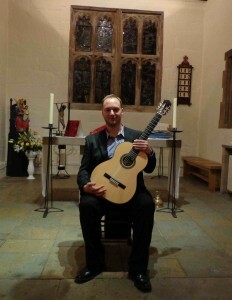 A solo Guitar Recital with music by Albeniz, Granados, Tarrega and more. I’m really looking forward to playing in this beautiful venue. I’m preparing the Valses Poeticos by Granados, Sevilla by Albeniz, Recuerdos De La Alhambra by Tarrega as well as many other beautiful pieces. I hope to see you there! Please see the Diary for details. Press the play button below to hear me play! This track is called Music For Bill and Me by Lou Harrison. This entry was posted in Uncategorized on August 20, 2013 by Jamrip.